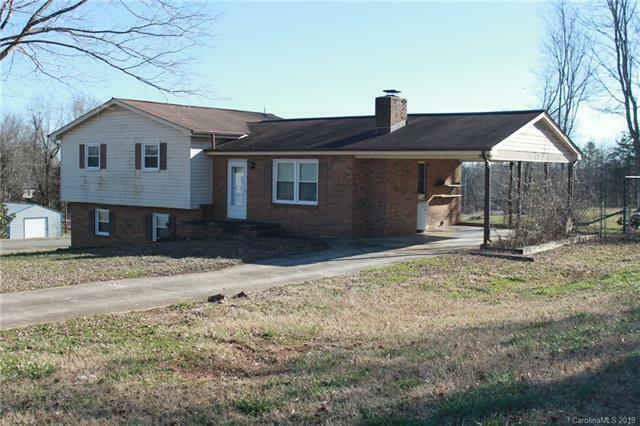 Great 3 bed /2 bath split level home with finished basement and attached carport in established neighborhood. Large living room with beautiful fireplace with gas logs. Kitchen has lots of storage plus an area for a dining table. Both bathrooms are very large and the main bath has two closets for storage. 1.31 acres corner lot, includes 2 lots with 2 outbuildings and recreation area. Back yard completely fenced. Basement has a great room that could use for many different purposes including extra living space, game room, 4th bedroom etc. and has sliding glass doors to walk out to side yard. Dedicated laundry room with outside entrance. Very convenient location to schools, shopping, etc. Include parcels 914780&914779.